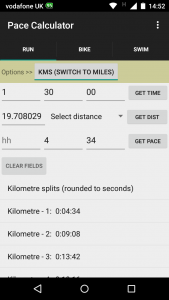 Pace Calculator – a tool for runners, cyclists and swimmers to calculate pace or speed from time and distance. A three way algorithm allows any two elements to be entered to calculate the 3rd. Really useful for trying to predict future events! [or it is for me at least…] The screen to the left is an imminent release/update, but the current version can be found at link below. 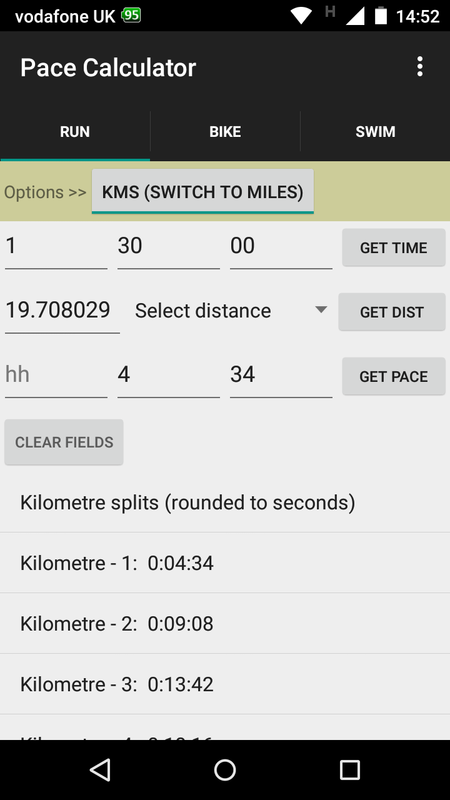 This entry was posted in Android and tagged Android, Bike, Calculator, Pace, Run, Swim, Tool. Bookmark the permalink.